Are you ready to be hooked on a feeling again? 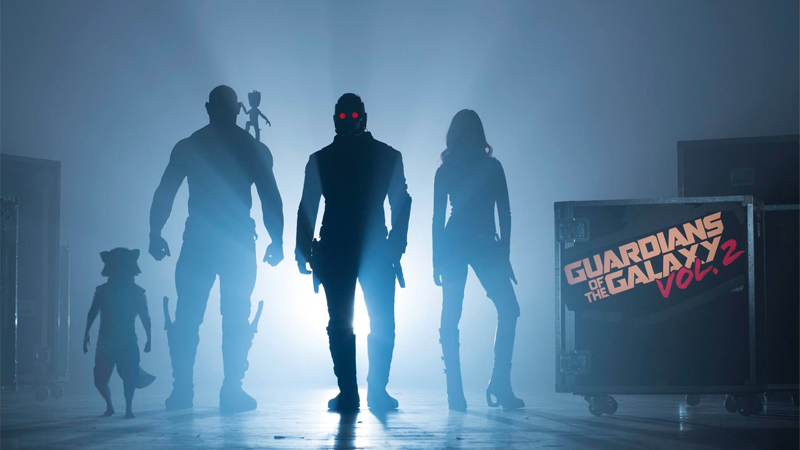 James Gunn has just officially confirmed that Guardians of the Galaxy Volume 2 has begun filming, with a confirmed cast list and a great, shadowy picture of the team. Oh, and yes, Kurt Russell has officially joined the film! Gunn took to Facebook to reveal the above picture—which doesn’t tell us much other than the already hyper-cute Baby Groot is probably going to get even cuter now that he’s up and about on wee little plant legs—as well as the principal cast of the film. Set to the all-new sonic backdrop of Awesome Mixtape #2, “Guardians of the Galaxy Vol. 2" continues the team’s adventures as they unravel the mystery of Peter Quill’s true parentage. I love that they lead with a “Hey there’s gonna be another awesome mix!” before the actual story beat. It’s not much, but out first taste of the follow up to one of Marvel’s best movies is still pretty intriguing! Guardians of the Galaxy Volume 2 is currently due to hit theaters in April 2017.